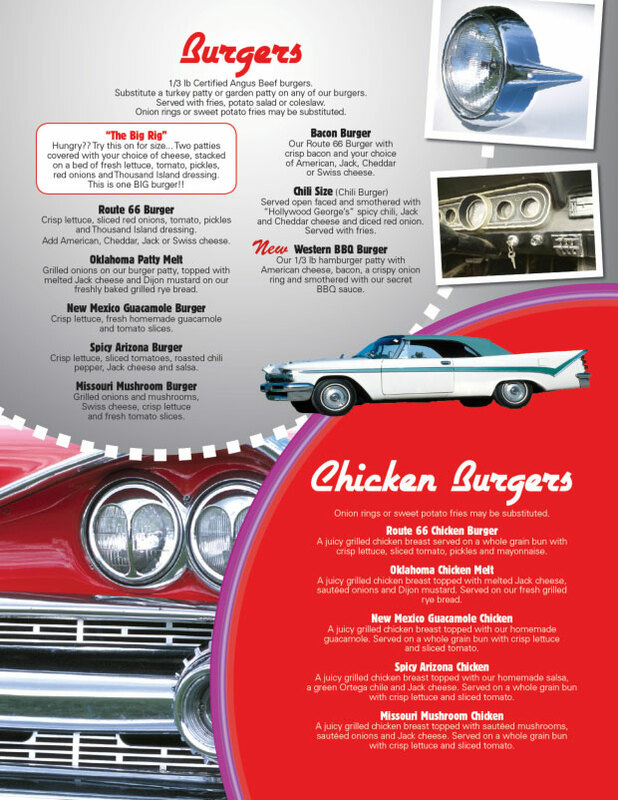 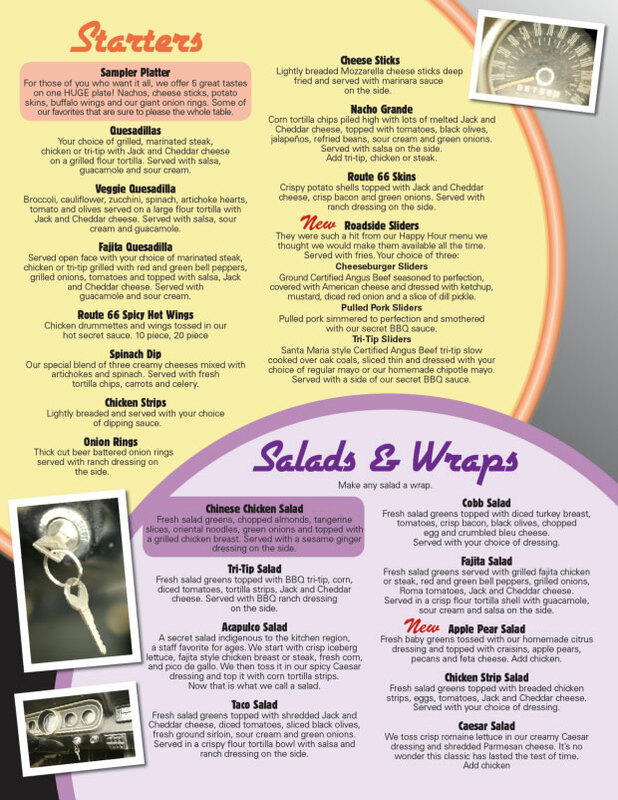 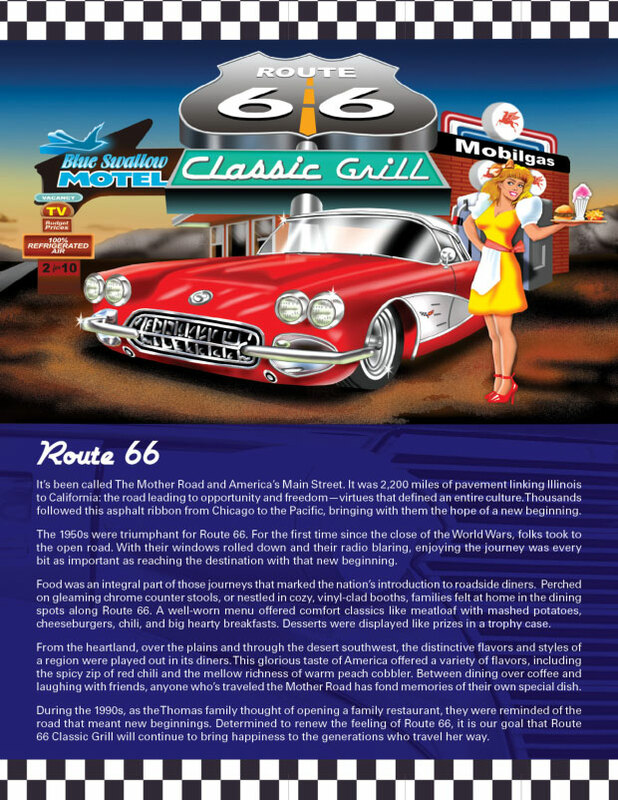 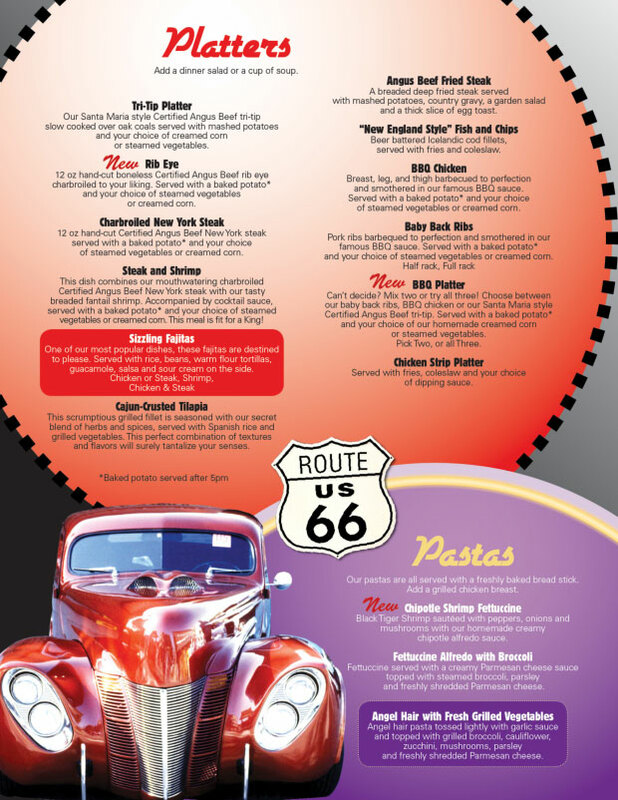 The Route 66 menu is displayed below. 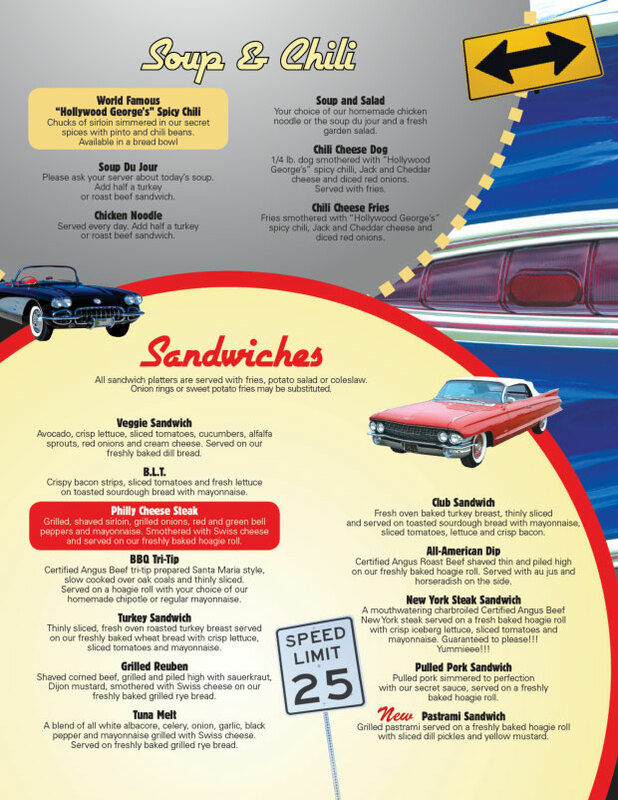 Click on one of the blue tabs below to view a specific page. 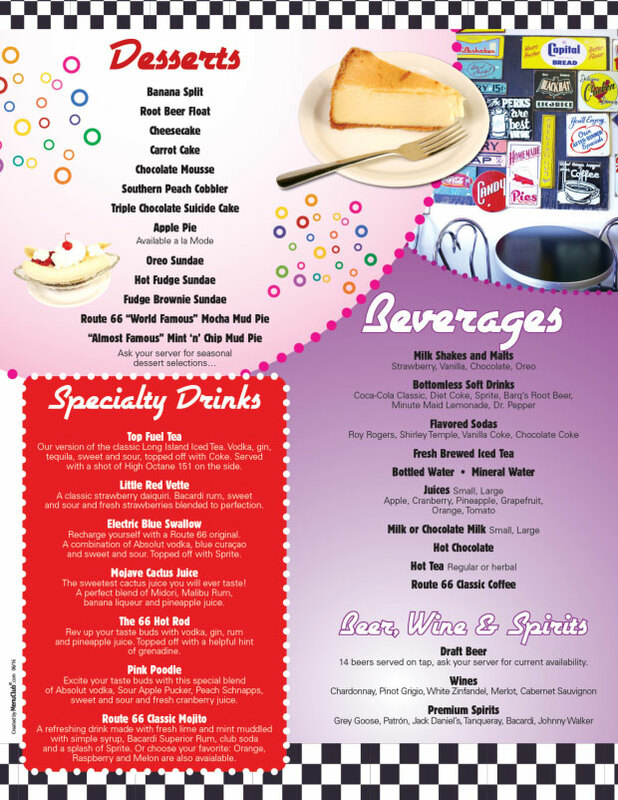 To view our Breakfast Menu, click here.